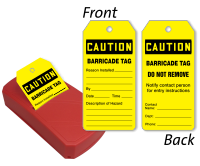 Take the hassle off storing your Barricade Tags at worksite. Buy this complete Take-A-Tag Dispenser which contains 100 tags and offers easy dispensing solution on site. • Bright yellow tags are hard to miss. 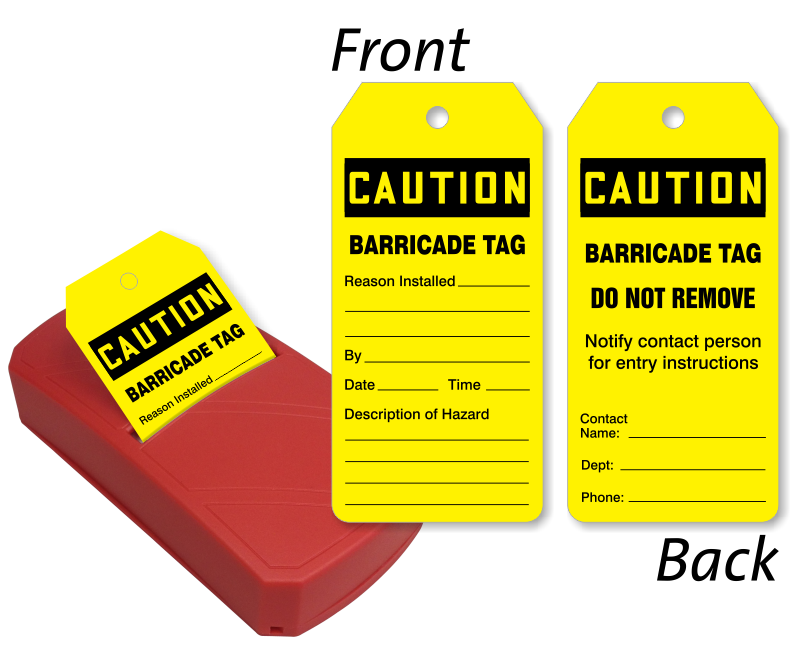 Writable tags have space for writing date, hazard, and reason of installing barricades.